A particularly troubling aspect of the research on India in US social sciences is its non-collaborative nature. The study of the region was jump-started by the needs of the US army in the military campaigns in the region in WWII and further boosted in the 1950s and 1960s when the imperatives of the Cold War led the US to establish centers in various universities to study different global regions and train students in their languages. India was a major recipient of US foreign aid during this period, which financed much of this scholarship. A striking feature was the degree to which the scholarship was built on bilateral collaborations and exchanges. At a time when India was much poorer, resources were severely limited and communications were all snail-mailed, the number of US academics willing to live, teach, and do collaborative research in India was striking—especially in contrast to today. These collaborations were across a range of fields of knowledge. 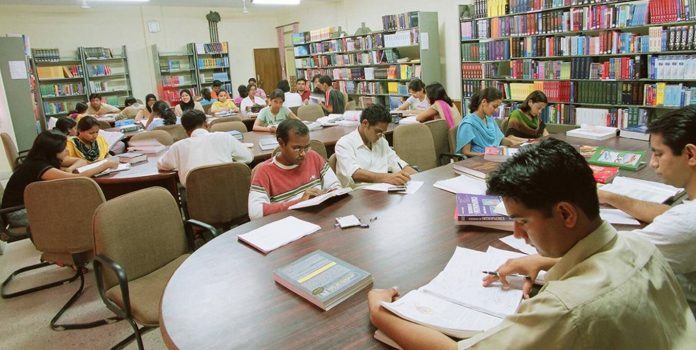 The Indian Institute of Technology, Kanpur benefited in its first decade from the Kanpur Indo-American Programme, where a consortium of nine US universities helped set up the research laboratories and academic programmes. The Indian Institutes of Management in Ahmedabad and Calcutta were developed in collaboration with leading US business schools. In all cases, faculty training and programme design were a critical element in these collaborations. A less heralded, but equally successful collaboration was the US role in developing Indian agriculture higher education institutions during the 1960s and early ’70s. Modelled on US Land Grant Universities, five US universities entered into partnerships with nine newly established state agricultural universities and sent nearly 300 professors on assignments of two or more years to these universities. However, during the 1970s and ’80s, the cooling of the US-India relationship led India to score a self-goal and make it very difficult for US academics to conduct research in the country, and consequently India became a minor area of study in US academia. Over the last quarter century, however, there has been a spurt in scholarship on India in the US. When a country becomes more important internationally—for economic or security reasons—the interest of US academia also increases. But in India’s case, it has been driven by two additional factors: the growth in enrolment of the Indian American diaspora and their demand for courses on the region; but more importantly, new sources of money. Unlike the earlier heyday, much of the new money is from private sources with wealthy Indians—whether based in India, the UK, Singapore, Dubai, or especially the US—emerging as a substantial new source of funding. Slick Willie Sutton, the bank robber, when asked why he robbed banks replied “because that’s where the money is.” And that’s principally why deans and presidents of US universities loudly proclaim how much India matters and why they are so committed that it tears them up—perhaps just thinking about the possible loss of money if they did not. While university administrators make tall promises to donors to relieve them of their money, they run into the chronic academic disease of scholars engaging in elaborate debates on topics that are of real concern only to themselves. While those who fund the India centers are keen that they work on the multiple challenges facing contemporary India—which of course university administrators promise—they run into a singular challenge: much of India-related research in the US is in the sciences and not in the humanities or social sciences, which tend to capture these centers. The India-related work in the sciences is across many scientific disciplines and has two key features: one, it is often collaborative with researchers in India, and two, most of this scientific research is unreported by the media, with exceptions such as the genetic relationships of caste or studies of the Indian monsoon. The other two legs of Indian-related research in the US lie in the humanities and social sciences. The former is dominated by NRI academics. Their fortunes have ebbed, in part, due to diminishing support for area studies, but also because of self-inflicted wounds, having become deeply ideological and often wrapping themselves in layers of arcane theory that caters only to their acolytes. By contrast, there has been a considerable increase in India-related work in the social sciences. The field has become much more empirical and India offers several advantages for a researcher: large sample sizes, heterogeneity in multiple dimensions, relatively low cost of gathering data, and weak official oversight (which, in any case, is unlikely to be enforced). It would be hard to do many of these trials in the US or China. As a result, custom-designed household surveys and randomized control trials have proliferated, most supported by external funding, which have generated new understandings about the country. But what has been the policy impact of this work? Suffice it to say the effects have been much more positive for the careers of US-based researchers than for India. Ironically, some of the very strengths, such as the stress on identification and causal inference, have been a source of weakness. The stress on these methods as “the gold standard” comes at the cost of relevance and timeliness. Only certain types of questions can be addressed by these methodologies. This is not to say there aren’t excellent studies that address important policy questions. But more often than not, even if they can address them, the costs and duration of these studies means they are more useful as citations than policy. When asked how many of these expensive RCTs had moved the policy needle in India, Arvind Subramanian, Chief Economic Advisor, GOI, was hard pressed to find a single one that had been helpful to him in addressing the dozens of pressing policy questions that came across his table. By contrast, the compiling of just some key facts on learning outcomes by Indian NGO, Pratham, has had a big impact on policy discussions in education, because it is backed by a degree of specific knowledge and engagement that is more credible and persuasive. One could question whether “relevance” or “timeliness” are a valid standard for good research—yes they are, when those are precisely the reasons given to funders for these projects. One should acknowledge the wide range of social science type work in US business schools, demography, and even development economics that has been adding to a body of knowledge about India. Nonetheless, a not inconsiderable number of research articles in top journals elide facts or simply interpret them selectively, relying on reviewers’ ignorance about India. That would normally not matter, but because they are published in prestigious journals, they effectively create “new facts” and become the gatekeepers of knowledge in that area. A particularly troubling aspect of the research on India in US social sciences is its non-collaborative nature. I emphasise the social sciences because this is much less the case with research in the sciences. On one level, this is not surprising; analysis of publications data by the NSF indicates that India is relatively stronger in fields like engineering, computer science, and chemistry, and weaker in the medical sciences. But it is weakest in psychology and social sciences. While co-authors in the US account for a third of all international co-authored articles from India, India accounts for just 3.5 per cent of US international articles (i.e. with collaborators from India), compared to 22.9 per cent for China. And of all STEM fields, the social sciences in the US are the most parochial, in having the smallest fraction of papers with international collaborations. However, even here, US-based international collaborations in the social sciences grew from 11.4 per cent to 15.4 per cent between 2006 and 2016. But very few were with co-authors based in India. While there are notable exceptions, in many large data projects, India-based personnel are the intellectual equivalent of coolie labour—they do the grunt work, leaving the thinking to Boston Brahmins, so to speak. An intellectual hierarchy has been created between the haves and have nots wherein the funding channels reinforce the model of fly-in-fly-out academia that professes that it is doing all this work to help India. India has largely itself to blame for this state of affairs, having done so much to undermine its universities and intellectual culture over the past few decades. Indeed one personally knows of cases of government departments denying data access to Indian graduate students even while they give the same data to foreign researchers—a bizarre interpretation of a level playing field. Things have been changing, particularly in the sciences, where India has now emerged as the third largest source of scientific publications (behind China and the US). From 2006-16, India’s share of global S&E articles virtually doubled (from 2.45 per cent to 4.8 per cent), while the absolute number of publications grew three-fold. Admittedly, many of these are of modest to indifferent quality; nonetheless, this is not a story of stagnation or decline. But that’s not the case in the social sciences, which matters because it impacts public perceptions and public policy much more directly. It would be a severe mistake for India to try and regulate the content of social science research in the country. But it should leverage its comparative advantage and insist that US-based researchers build stronger relationships with India-based counterparts, and include them as joint authors on the papers as well as train more students from India. It is a shame that elite institutions in the US churn out so many papers based on data gathered from India and yet admit so few doctoral students directly from India in those very departments. That is their prerogative. But there is little reason for India to indulge them either. That should be its prerogative. Devesh Kapur is the Starr Foundation South Asia Studies Professor and Asia Programs Director at the Paul H. Nitze School of Advanced International Studies at Johns Hopkins University. This article first appeared in India in Transition, a publication of the Center for the Advanced Study of India (CASI) at the University of Pennsylvania.